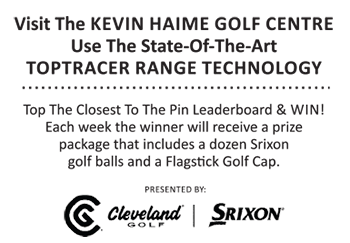 For those that have been following the progress of the Wilson Golf Driver vs. Driver Season Two design competition aired on The Golf Channel, the pinnacle event took place Tuesday night. The contest came down to two drivers and at the show’s finale, the Cortex designed by Evan Hoffman of San Diego, California, was named as the winner. The 18-month contest process saw Hoffman and other contestants work with Wilson Labs to refine their products, finally resulting in the one that will be available immediately for sale online and through Wilson Golf dealers. The term “Fast Cage technology” was termed to describe the driver’s key technology and it will feature prominently in the marketing. The Cortex driver’s head is constructed with a titanium skeleton enhanced by carbon panels that cover more than 40% of the clubhead’s surface area. That is enhanced with the use of sliding adjustable weights to fine-tune weight distribution and fit for each player. The clubhead has been matched with Fujikura ATMOS Tour Spec graphite shafts in three different profiles for versatility in fitting and optimizing launch. For the design Hoffman earned a prize of (USD) $250,000. His biggest rival in the competition, Tim Slama, who deigned the Rozwell driver that was part of the final two drivers did not leave empty-handed. Tim Clarke announced that Wilson Golf will pay for the senior year of tuition for him at Oregon State where he is student, and extended a job offer for when he is done. The Wilson Cortex is expected to retail at (USD) $499.99. Pricing in Canadian funds, based on retailer GolfTown, has the pricing at $599.99 north of the border.